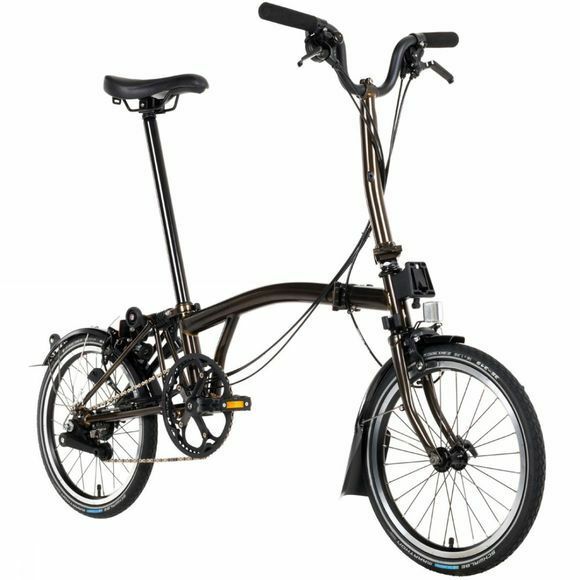 Back by popular demand, Brompton have launched their exciting 2018 Black Edition bike. 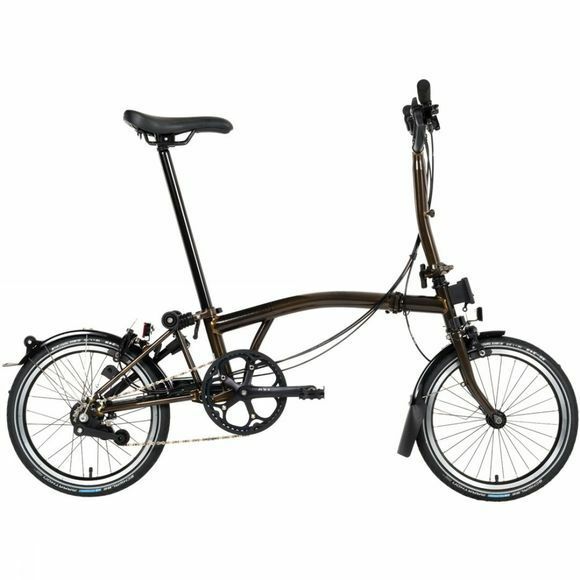 Inspired by city life at night, the Black Edition replaces the classic silver wheel rims, spokes and seat post with stylish black componentry. The M6R model incorporates a classic M-Type handlebar for a good all-round ride position, providing the perfect blend of comfort and speed. With the practicality of 6 gears it is more than capable of covering greater distances and even tackling hillier routes. And, integrated mudguards will keep you protected from spray even in wet conditions, whilst a rack and front carrier block provide plenty of options for attaching luggage. *Please note that images are for reference only and the product specification may vary. Please refer to the product features for the model specification.